4-star campsite near Pornic – sea views and direct access to the beach! The campsite is open from the 5th April – 29th September 2019. Our 4-star campsite is ready to welcome you every day from 9am – midday and from 2pm – 6.00pm. 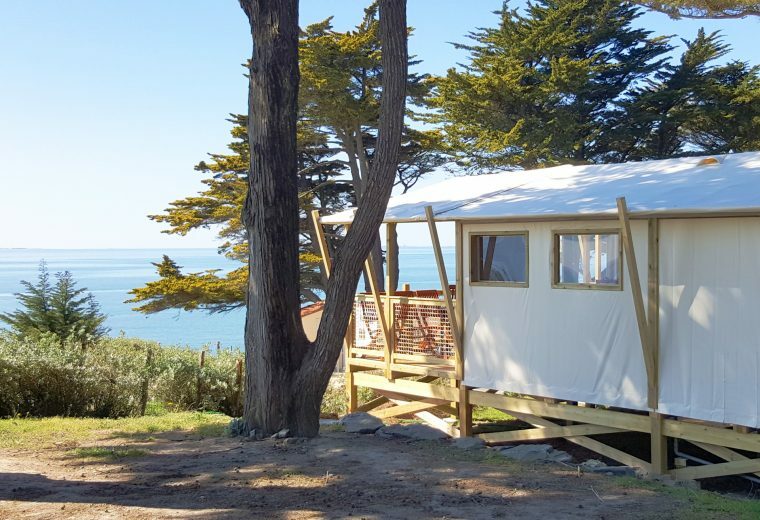 Admire the incredible views over the ocean from the campsite, enjoy the quiet and relax in the indoor heated swimming pool throughout the season. 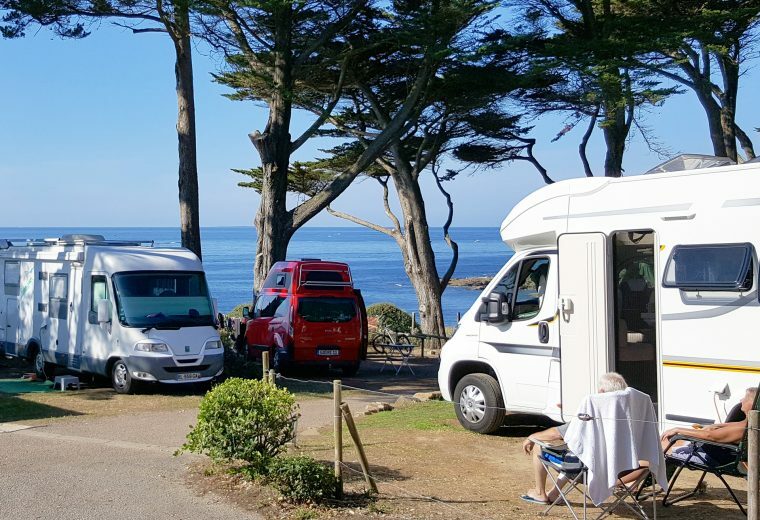 Located in Loire Atlantique, 10km from Pornic on Pointe St Gildas, near La Plaine sur Mer, Eleovic Campsite has direct access to the sea and invites you to explore the wild coastline and its little sandy coves – the perfect place for a swim. It’s paradise for hikers and fishermen, with easy access to footpaths, cycle paths and the beach, all right by the sea. At the bottom of the campsite, collect seashells and shellfish in the sandy and rocky coves. The villages of La Plaine sur Mer and Préfailles form the Saint Gildas Peninsula that separates the Loire estuary from the Bay of Bourgneuf. At the end of the peninsula is the Pointe Saint Gildas, a popular tourist destination (the second most popular site in Loire Atlantique). Its protected wild coastline offers stunning views over the ocean. Eleovic offers a wide choice of accommodation and pitches, including 1, 2 and 3-bedroom mobile homes and lodges on stilts with stunning sea views. New: the Eco-Lodge, a quirky accommodation offer, ideal for trendy nature getaways. 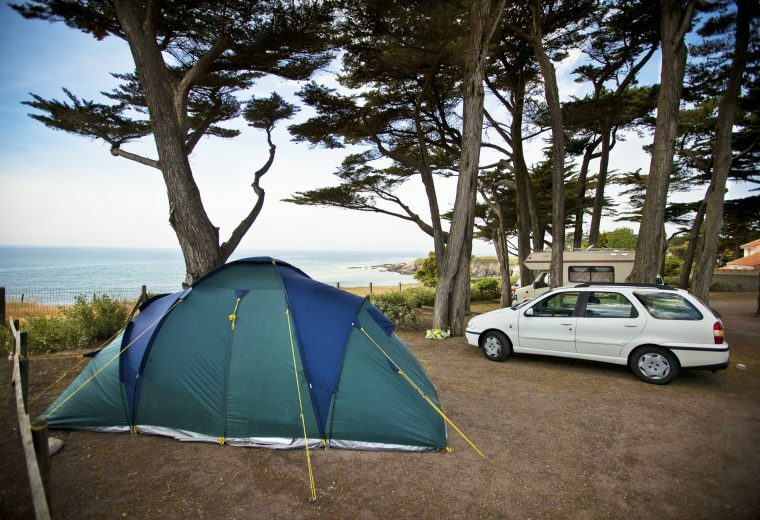 For your peace of mind, campsite pitches for tents, caravans and camper vans are spacious, clearly marked and sea-facing or land-facing. Eleovic Campsite in Loire Atlantique has a swimming pool area. An indoor swimming pool heated to 28°C, with jacuzzi seating is open every day from 10am – 7pm from April to October. An indoor and outdoor paddling pool is available for young children. Relax and soak up the rays on our sun loungers. Our campsite has activities and entertainment for all ages in July and August until 11pm! Throughout the season, children aged 6-12 can enjoy the Children’s Club whilst the adults play a round of French bowls or do aqua aerobics in the campsite’s indoor heated swimming pool. For more information about campsite entertainment, see our rubric about activities for everyone. Also check out the campsite facilities, including the bar/restaurant/bakery, launderette and bike hire – all for your convenience. Explore Pointe Saint Gildas, a popular place to visit and protected area (the second most visited site in Loire Atlantique). Its protected wild coastline has stunning views over the ocean. 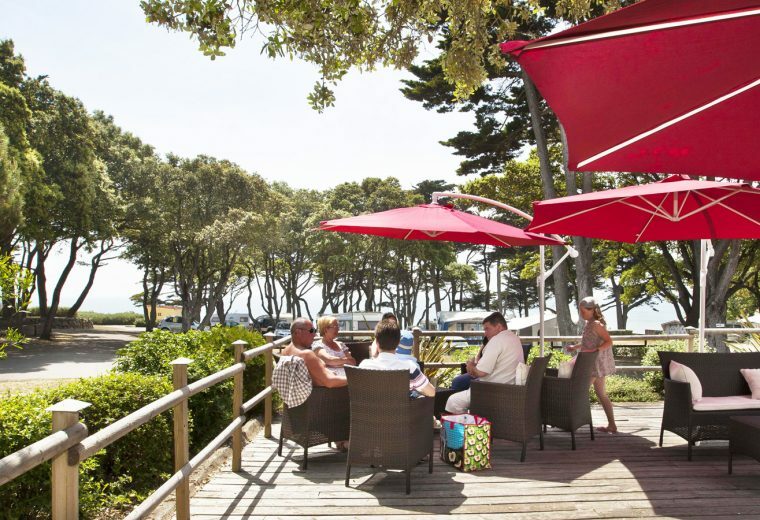 Located by the sea, Eleovic Campsite overlooks the Bay of Bourgneuf and is opposite the Island of Noirmoutier. 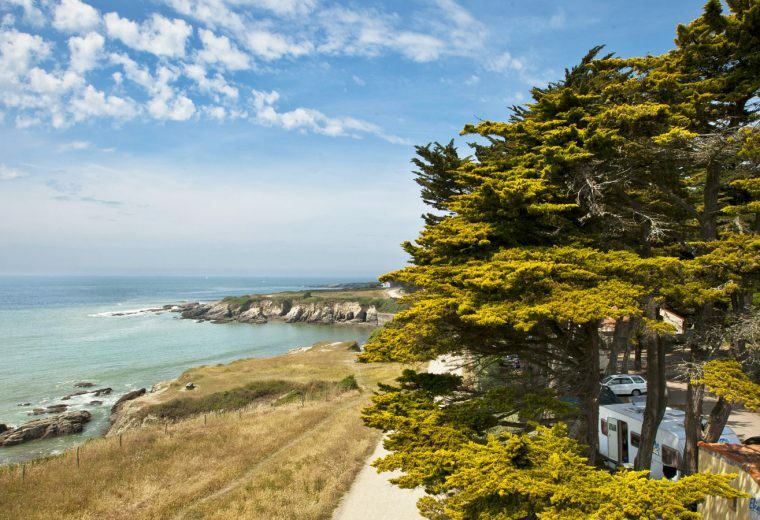 From Eleovic, you can visit Pornic, La Baule, Guérande, La Grande Brière and the Breton marshes. Rich in culture, Retz offers numerous cultural and leisure trips. During your trip, try water sports and visit theme parks, zoos, parks and historic sites.